The funny photos of actor Jung Suk Won are making netizens happy. In the online community forum, related screencap of the photos with the title of ‘outbreak of Jung Suk Won Twitter’ was uploaded recently. 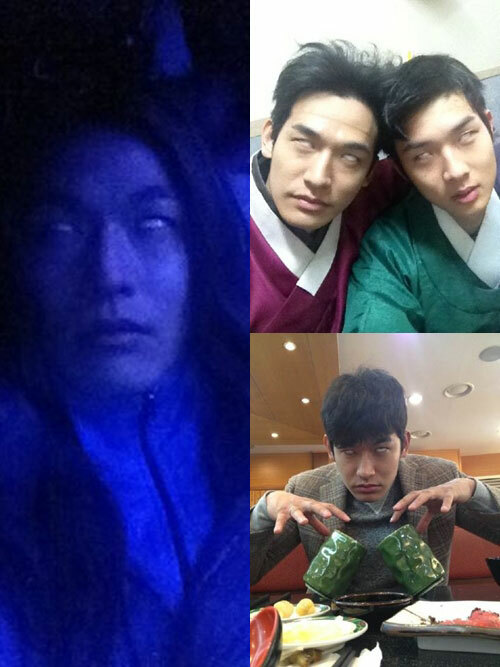 The photos are funny photos published by Jung Suk Won recently. In particular, the photos of Jung Suk Won turned up the whites of his eyes consecutively shocked the netizens. Netizens pleasantly said, “The look of turning up the whites of eyes is hilarious,” “Warning to old and weak, and pregnant woman,” “Baek Ji Young is fascinating by such charm?” and so on. In addition, Jung Suk Won is starring in SBS drama Rooftop Prince in the rolf of Woo Yong Sul.